In 2015, the Council partnered with ENGIE one of the world’s leading energy and service providers to form Qwest. With an annual revenues of over €69 billion and 155,000 people around the world, this means Qwest has the financial backing and scale to deliver on its commitment to value for money and service quality. Qwest is a framework service provider. Public bodies across the UK can purchase services from the company, confident they are getting value for money and quality service without the need to undertake a lengthy and expensive procurement exercise. • Projects for Council owned companies have benefited from the streamlined project management mechanism, avoiding lengthy procurement exercises. • Energy Team – delivery the existing functions of the in-house energy service and maximising the benefits of working with an international energy company. • Risk management – Qwest’s proactive approach to building maintenance and document control enabled the Council to react positively to challenges surrounding the Grenfell Tower fire and resultant compliance exercise, ensuring our tenants safe and reassured. • Driving the Council’s digital programme. 50% of services will be digital by 2020. 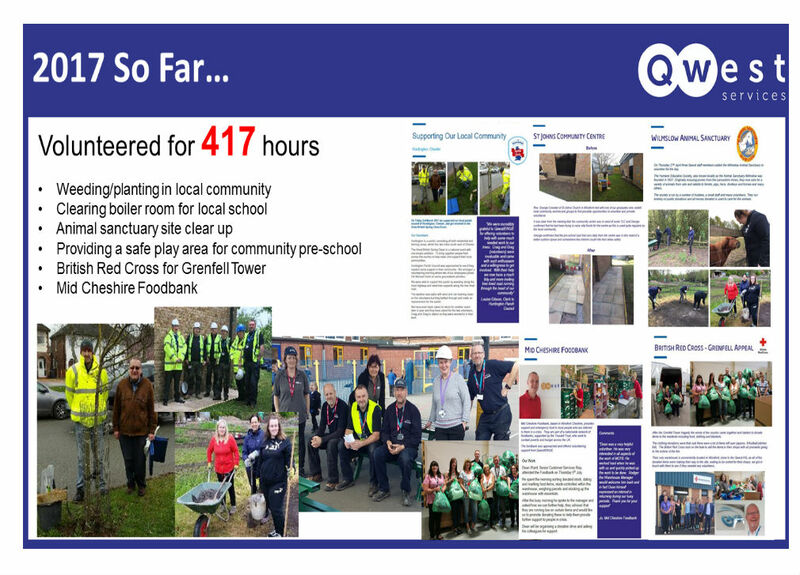 Qwest is dedicated to maintaining and promoting a public service ethos. This is illustrated through the priority given to corporate social responsibility, and the impact made in local communities by the company. • Provided 2 graduates with 6 month placements within the company.